A tapas ‘trojan horse’ for traditional Barcelona cuisine on one of the city’s best contemporary terraces. Bravo 24 wasn’t what I was expecting. Not even close. I’d spent the previous evening staying in the Hotel W (known locally as the ‘Vela’, or sail) and I thought I had a handle on what would be served at its signature restaurant. Based on the beautiful, international people at the ‘wet deck’ pool party, the Lambourghini promo at the door and the glitterball glam, high-budget-bling vibe of the hotel in general, I expected a so-modern-it-hurts menu of trendy favourites, with some Adrià-influenced high-tech touches as a nod to its Catalan location. But I’ll get to that later. The first thing you notice about Bravo 24, set on the hotel’s mezzanine, is the terrace. It’s huge, and looks straight out past some sun loungers and onto Barceloneta and Sant Sebastià beaches, with the city skyline in the background. It’s sheltered from the breeze, and you can hear the gulls crying in Barceloneta’s port. A shaded table on it is undoubtedly one of the most pleasant places to eat in the city, though I imagine it could get a little too warm in midsummer. I’d had a sneak preview at breakfast, which was excellent; but hotel breakfasts are not, in my experience, reliable indicators of what lunch or dinner will be like. The inside of the restaurant is large, and very contemporary, dominated by slatted teak. The whole set-up is ideal for events; indeed, a group of young friends were celebrating a birthday with cava, tapas and dancing, and the staff were planning a wedding reception while I was there. I settled down with a class of cava and started to read the menu. It divides into tapas (and serves these over longer opening hours than the restaurant) and the main menu. The tapas subdivide into those that ‘originated in Barcelona and represent us, or at least our great-grandparents’ and those of more ancient provenance: olives, cheeses and cured ham introduced during Roman times. Roman times? What was going on here? The menu is a veritable history lesson — written, in fact, by a food historian — that takes diners through the origins and evolution of many of Catalonia’a — and specifically, Barcelona’s — greatest dishes. There are a few modern twists, mainly in the presentation, but executive chef Carles Abellan (who has a Michelin star at Comerç 24) has chosen to look mainly back, not forward in time at Bravo 24. One of Abellan’s greatest talents is his ability to spot talent and give them their own kitchen to work in. At Suculent (review due soon…) it’s Toni Romero. At Bravo 24, it’s Toni Morago. He suggested a tasting menu, I agreed, and off we went. As a result, the dishes in the photos are smaller than those you’d usually receive à la carte. Price-wise, Bravo 24 isn’t cheap, which you’d expect in a five-star hotel. Tapas range from €2.50 for a croquette to around €16 for things like calamari and acorn-fed bellota iberico ham. Main courses cost between €24-€60. The excellent, still-warm bread and organic olive oil were hard to resist. So I didn’t. But (pro tip), as I was reviewing I stuck to a single slice. A Hidalgo NV La Panesa Especial Fino sherry, which I will certainly try again when the occasion arises, was served ahead of the tapas. It was the first of an exceptional wine pairing. Kudos to the sommelier, and apologies for not noting his name. Then I got a croqueta. Oh no, I thought, not another bloody croquette. Then I tasted it. One of the best, maybe the best, I’ve ever had. Later, in the kitchen, Toni showed me the enormous copper pan where they combine roasted free-range chicken (from nearby Prat) with excellent stock, fresh tomatoes and who-knows-what else and cook it long and slow to make the croquette’s filling. The result is magnificent. The second croquette couldn’t live up to it. Ham croquettes, even ibérico ham, just don’t do it for me in the same way. There was no faulting the quality, however. Battered calamari with saffron was a burst of sunshine on the plate. It tasted as good as it looked, putting an interesting spin on an old favourite. Cod fritters with honey and lemon were so much more than the vaguely seafood-flavouried mush that often masquerades as bunyols. These were fresh, light, and evocative of the sea. Prawns, landed just hours previously at Barcelona’s fishing dock just a block away, and bought from the same fish auction, salted and served over smoking wood chips. These are as good as I’ve ever had, anywhere. I was sucking their heads with abandon, trying to get every last drop. The smokiness was very subtle, the prawns were cooked perfectly. I didn’t even ruin my white shirt, which I’d fully expected to. By the time I’d finished, I didn’t care. A glass of Vina Cimbron Verdejo from Bodegas Felix Sanz, Rueda, came with the esqueixada — smoked salt cod with pil-pil. This was exquisite to look at, and the balance of flavours was exceptional: acidity matching the slight saltiness and smokiness of the cod. Grilled duck liver (foie) with wild mushrooms and an egg yolk vinaigrette sounded rich. It was rich. Personally, I’m not a big foie fan but the mushroom and egg combo was a knockout. The smell, with a strong element of oak woodsmoke, was mouthwatering and the reduction, with baby onions, was deliciously sticky on the lips. The wine pairing, a slightly sweet L’Olivera Rasim Vipansit Blanc (DO Costers del Segre) was perfect. A glass of Allende Rioja blanco was then served and the next dish brought out. Both the turbot and the celeriac purée were very good but the spinach was the star here: wilted but still intact, with a sumptuous dressing. I was intrigued to see what my last dish would be. A large copper pan was brought to the table, and I was shown… fricandó. I love fricandó and make it at home regularly (I even have a fricandó recipe for you). It’s a Catalan beef-and-mushroom braise, thickened with an almond picada, that makes regular appearances in menús del día and home kitchens across the country. But in a five-star hotel? I wanted to applaud. But would it be any better than my own efforts? Well, yes. Wagyu beef, gorgeous reduction and depth of flavour. But mine’s pretty good too! It is, after all, a simple dish. If this had been the first time I’d eaten fricandó I’d have been raving about it. But after hundreds of variations of it, great enthusiasm is hard to muster. I’d still strongly recommend it to others, however. It was served with a 2013 Vespres Montsant. Compressed, seasonal fruit, served over ice, looked beautiful, tasted refreshing, and adequately cleared my palate. I was pretty full by this point but I’d been for a long run on the beach that morning and still felt virtuous enough to try some “Uncle Nelo” hot chocolate fritters. They were crisp, rich and, well, chocolately, served with the red version of the Rasim Vipansit garnatxa/monastrell, which was almost PX-like. I moved away from the other diners to the quiet end of the terrace to smoke a cigar and reflect on an excellent meal. Carles Abellan and Toni Morago have played their hand wonderfully here. Using the universal clamour for tapas, and Abellan’s fame in that area (he also owns Tapas 24), to open the hotel doors, they’ve then sneaked in a trojan horse of a menu that’s full of traditional classics. Yes, there are the expected crowd-pleasing steaks and suchlike, and I’m sure they’re lovely, but that’s not Bravo 24’s strength. I imagine that selling the concept of some of the dishes on the menu to the hotel management, let alone the customers, must require patient explanations. It is to everyone’s credit that it works. There are other high-end restaurants where you can eat classic Catalan food along these lines. Many of them are favourites of mine (Ca l’Isidre and Tram-Tram, to name just two) but none of them are in surroundings like this. None of them have a terrace like this. Bravo 24 is undeniably expensive, but I think it’s worth it. Come for the tapas, stay for the mar-i-muntanya, the meatballs … and the fricandó. Bravo 24: Plaça Rosa dels Vents 1, 08039 Barcelona/Hotel W, planta E, Tel. (+34) 93 295 26 36; open 365 days/year 1.30pm-4pm & 8pm-11.30pm. The croquettes certainly look a lot more appetising than the (god-awful) morcilla one that we had in Granada! 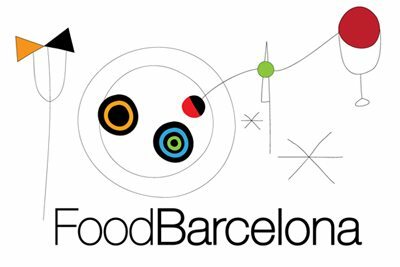 I have concluded that I need to (a) win the lottery or (b) find myself a millionaire to be able to visit Barcelona and eat at these wonderful restaurants that you review.